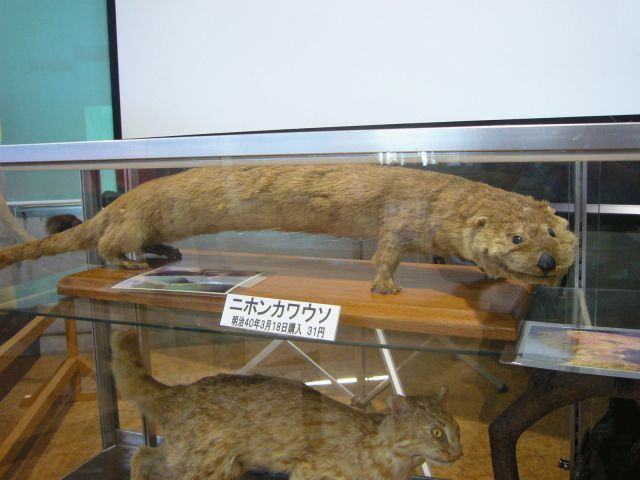 The Japanese River Otter, referred to as Nihon-kawauso by the local community or as Lutra lutra whiteleyi by the scientific community, is a type of otter that was formerly scattered throughout entire Japan but has now become extinct. 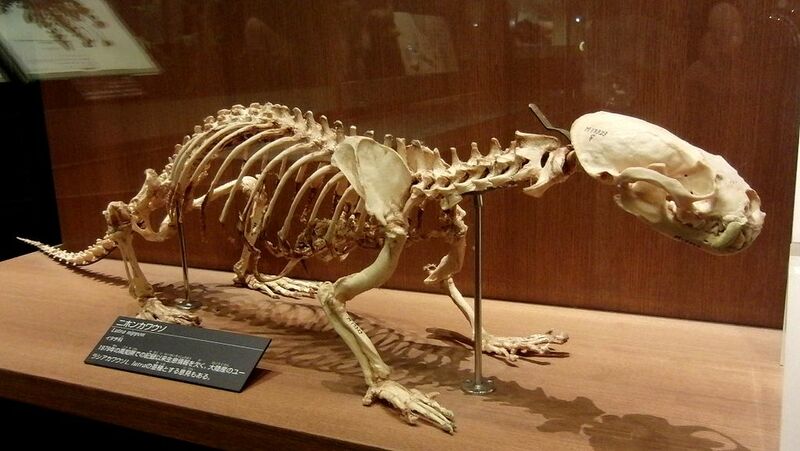 According to records, the animal was first discovered back in the 1880s, particularly in the city of Tokyo. By the 1930s, the population of the Japanese River Otter significantly shrank in size, so much so that they could only be spotted on several occasions from then on. These rare sightings included one at the Seto Inland Sea during the year 1964, at the Uwa Sea during the years 1972 and 1973, and at the prefecture of Kochi during the year 1979. During this period, the Japanese River Otter had been classified as a critically endangered mammal and was included on the Japanese Red List. On the 28th day of August during the year 2012, the Ministry of the Environment officially declared the Japanese River Otter to be extinct. At present, it serves as the Ehime Prefecture’s official animal symbol. When fully grown, the Japanese River Otter could be measured from 65 to 80 centimeters in length, with its tail stretching for about 45 to 50 centimeters. Similar to other otters, the Japanese River Otter featured a thick and lush coat of fur that was dark brown in color. Furthermore, the Japanese River Otter was also characterized for its short, webbed feet. One of the most interesting things about the Japanese River Otter was its ability to adjust according to the seasons through its two sets of fur. During the months of May, June, July, and August, the Japanese River Otter would completely shed its under fur. Subsequently, during the months of September, October, and November, the Japanese River Otter would then completely shed of its guard hair. According to previous data, the Japanese River Otter could live up to 25 years of age. Being a nocturnal animal, the Japanese River otter would only leave its home after the sun has completely set to search for food. These animals would usually take about ten miles, in diameter, of space for their den or territory. Japanese River Otters would mark their areas by leaving their droppings about 1 – 3 miles apart around the circumference. They would then set up their nests inside bushes or underneath rocks. Typically, these dens were only used once every 3 – 4 days, as Japanese River Otters tend to always be on the move. Compared to other animals, a Japanese River Otter would be considered as an adult upon reaching the age of 1. By that time, each otter would have to venture on his own and live in solitude until the time comes when he is ready to find a mate. Generally, Japanese River Otters would start finding a mate by the age of two or three. Male Japanese River Otters were the ones who had to make efforts in finding a mate. A male Japanese River Otter would usually call out to a female Japanese River Otter and see if she will be giving him permission to start mating. If not, the male Japanese River Otter would simply move on to another female Japanese River Otter. A female Japanese River Otter would roll around with the male Japanese River Otter to let him know that she is interested in mating. Interestingly, when male and female Japanese River Otters mate, they rarely live together after the reproduction process. Japanese River Otters could have as few as one offspring to as many as six per litter. Baby Japanese River Otters usually go through the first month of their lives blind, making them quite vulnerable and helpless. Fortunately, female Japanese River Otters are quite the moms, nursing their babies for more than six hours a day, teaching them important survival lessons, and protecting them from lurking predators. Once the baby Japanese River Otters have reached four months of age, the female Japanese otter would start providing them with solid food and teaching them the proper ways to hunt. Similar to other types of otters, the Japanese River Otter is not particularly picky when it comes to its food. Although its primary source of energy is seafood, i.e. shrimp, crab, or fish, the Japanese River Otter also ate sweet potatoes, watermelons, beetles, and eels. Japanese River Otters typically consumed 15 – 20% of their body weight and spent an average time of six hours looking for food. In the aquatic food chain, the Japanese River Otter was considered to be among the top carnivores. As previously mentioned, Japanese River Otters were quite in Japan during the 1880s. When the Japanese government adopted a policy aimed to increase the military prowess and wealth, animal pelts became quite valuable in the Meiji Period. Given the thick and lush fur of the Japanese River Otter, they were hunted by a large percentage of the local community, causing their population to decrease quite rapidly. After hunting regulations were set into place, the existence of the Japanese River Otters made a slight comeback. Unfortunately, the industrial developments and pollution caused by humans put a toll on the Japanese River Otters, as they had fewer sources of food and materials for them to build their homes. The contaminated rivers lacked enough food sources, leaving them with no choice but to go beyond their known territories and into significantly more dangerous areas. By the late 20th century, the Japanese River Otter was announced to officially be extinct. Efforts/Proof to Validate the Existence of the Japanese River Otter – Sightings, Discoveries, Etc. During the 1990s, great efforts were made to try and locate surviving Japanese River Otters to save them from going extinct. In 1991, the prefectural government of Kochi and the Environmental Agency of Japan put together a team of experts to begin their search and hopefully save the endangered species. The research group found some hair and excrement in the prefecture of Kochi, along with three footprints. Results showed that these items did, in fact, come from an otter and was the first solid evidence the scientific community had regarding the existence of the Japanese River Otter. In 1994, another team of zoological experts made a visit to the area where the excrement, hair, and footprints were found. There, they also discovered traces of the animal’s urine which they believed were left after a courtship process. From October of the same year to April of 1995, the prefectural government of Kochi set up cameras in the area to, at least, try and capture the Japanese River Otter on film. Unfortunately, the Japanese River Otter did not make an appearance and all that was recorded were various animals such as raccoon dogs. By March of 1996, more efforts by municipal government officials, zoo officials, and even simple animal lovers were done to help prove the Japanese River Otter still existed. These groups traveled to different parts of Japan, particularly in the areas where evidence related to the Japanese River Otter were previously found. These places included the Niyodo River, the Shimanto River, and the coastal areas of Susaki. Unfortunately, no evidence could still be found that proved the Japanese River Otter’s existence. As previously mentioned, the Japanese River Otter was officially declared extinct during the year 2012. However, members of the local community still hold on to a small glimmer of hope that some Japanese River Otters might still exist. In recent years, there have been several sightings reported by local residents of the Ehime Prefecture and the Nagasaki Prefecture. An otter was even caught on camera in February 2017 at the Tsushima Island. Although there is no evidence that the otter filmed was a Japanese River Otter, researchers are making efforts to try and capture the animal to further observe it. According to historical records, the Japanese River Otter was also used as a form of medicine during ancient times. It was believed that they could cure tuberculosis and cost about three hundred dollars per dosage, which lasted for about forty days. This served as another reason for hunters to search for Japanese River Otters aside from their pelts. The Japanese River Otter came from the weasel family and is actually a subspecies of the Eurasian/European Otter. The Japanese River Otter had the ability to stay underwater for more than two minutes. The Japanese Gazelle, known as Gazella Praegaudryi by the scientific community, was a prehistoric type of gazelle that could only be found in the country of Japan. According to records, it competed with the likes of wild boards, serows, and deer, while its predators included wolves, tigers, and brown bears. The Japanese Sea Lion, or the Nihon Ashika, was an aquatic mammal that was declared extinct during the 1970s. They formerly inhabited the Sea of Japan, particularly the coastal areas of the Korean Peninsula and the Japanese Archipelago. The reason for their extinction was due to them being commercially hunted during the 1900s for their oil, whiskers, and leather. The Japanese Wolf, or the Nihon Okami, was a subspecies of the gray wolf that was formerly scattered throughout the islands of Kyushu, Shikoku, and Honshu during earlier years. The species is also referred to as the Honshu wolf and is believed to have been the protector of travelers. The Hokkaido Wolf, which also went by the name the Ezo Wolf of the Sakhalin Wolf, was another subspecies of the gray wolf. It was more often associated with its relatives in North America than those in Asia. 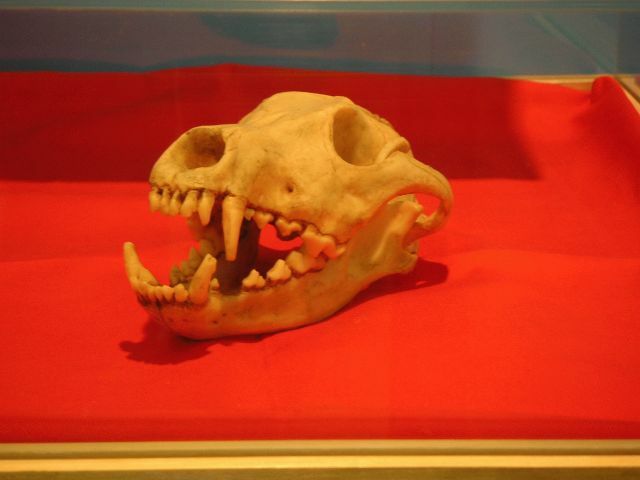 According to records, the Hokkaido Wolf faced extinction during the Meiji Restoration when efforts were made to kill livestock predators using strychnine-laced baits. The Mukojima White-Eye, or known as the Apalopteron familiare familiare, was a nominate subspecies of the Bonin Honeyeater or the Bonin White-Eye; it is often incorrectly referred to as the Mukojima Honeyeater. During the 1900s the Mukojima White-Eye could often be found on the islands of Muko and Nakodo. The Iwo Jima Rail, or better known as the White-Browed Crake, was a native rail of the island of Iwo Jima. Its last reported sighting was in the year 1924, leading many to believe that the animal no longer exists. The scientific name of the animal is Amaurornis cinereal brevipes, making it part of the Rallidae family. The Ryukyu Wood Pigeon, also called the Silver-Banded Pigeon or the Silver-Crescented Pigeon, was a bird species that came from the Columbidae family. It used to be found on the Okinawa Archipelago, particularly in Izenajima, Yagachijima, Iheyajima, Zamamijima, Kita Daitojima, and Minami Daitojima. Similar to the other Japanese birds that no longer exists, the Ryukyu Wood Pigeon suffered extinction because of habitat destruction caused by humans. The Ryukyu Kingfisher, known as the Toduramphus miyakoensis by the scientific community, was believed to be a subspecies of the Guam Kingfisher. Interestingly, there was only one known bird, a male, that was collected on the island of Miyako to have ever been recorded. 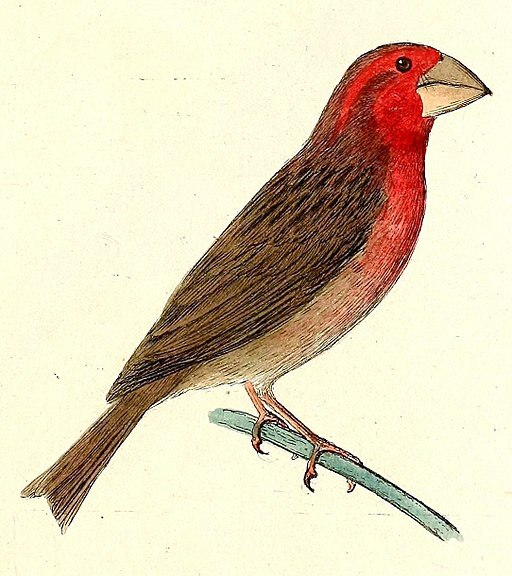 The Bonin Grosbeak, or also referred to as the Bonin Islands Grosbeak, was a type of finch that could often be found in pairs or singly. They featured a rather lazy personality but were not at all shy birds. The now extinct birds usually fed on buds and fruits from low shrubs. According to records, the sound of these birds was quite soft and made use of high notes.